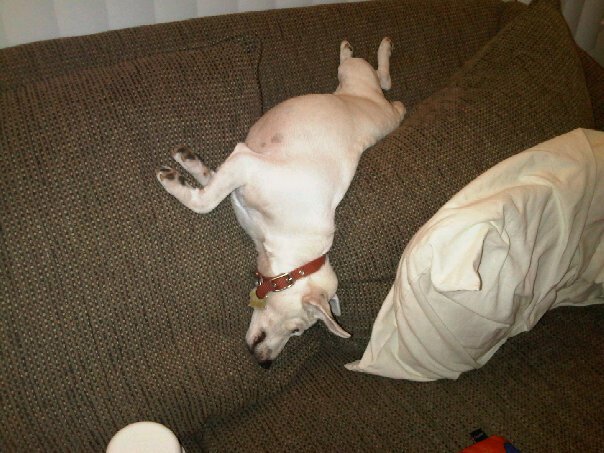 I saw a dog on the TJ Maxx/HomeGoods/Marshall’s holiday commercial, and it looked exactly like my late Jack Russell Terrier, Archie. The commercial canine was pulling a new dog bed out of a box, and then sat down right the middle of it. It made me think about how Archie used to turn about 50 circles in his dog bed before selecting the optimum area in which to curl up. I felt a pang, like I was going to cry, but it was pushed out by joy. Instead, I thought of all his little personality quirks when it came to sleeping. During the holidays, Archie also circled under the Christmas tree, where he’d nestle in beneath the soft glow of lights and homemade ornaments. He’d use his small, strong, tank-like body to shove aside presents that were in his way, then settle in for a long winter’s nap. Much of the time, though, he was a nuzzler. 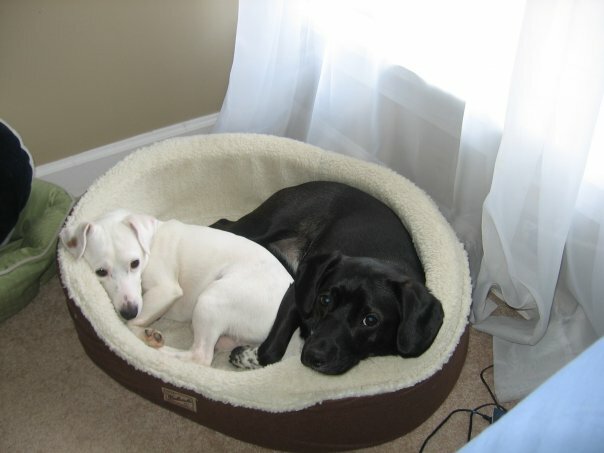 When we first adopted him, he always wanted to sleep in the same bed with our other (totally awesome) dog, Lucy. Five dogs beds in the house, but they always used to share. 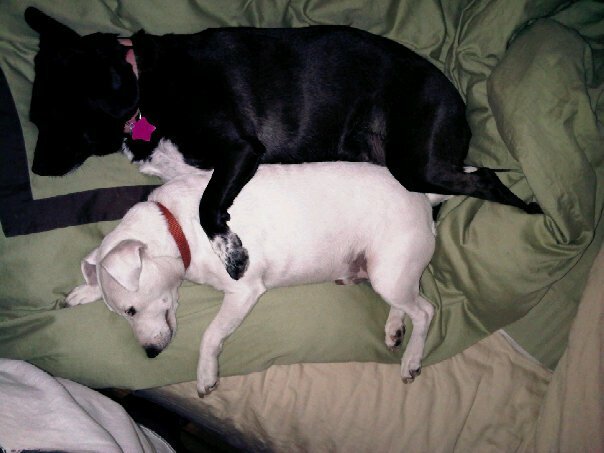 Spooning was one of Archie’s favorite positions. I have loads of photos similar to this one. His cuddling wasn’t limited to Lucy, though. At night, if I was sitting on the couch to work, he would always be *rightthere*, up against my body. And don’t even get me started on how much he loved a group cuddle. 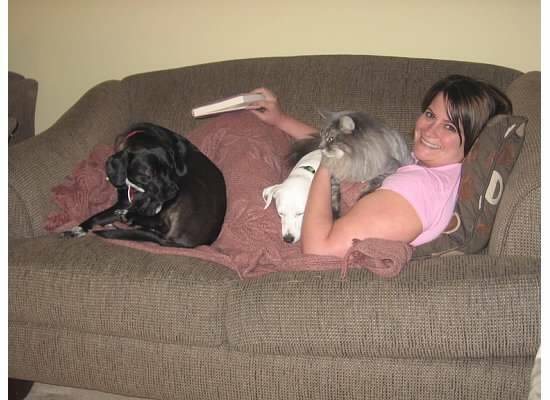 My animal kingdom, circa 2008. In bed, he’d get under the covers. And I mean alllll the way under the covers, down by our feet. I have no idea how he could breathe for very long under there, but eventually he’d get short of air and emerge, panting, before scooching up next to me, with just his head out. Best cuddler in the land. 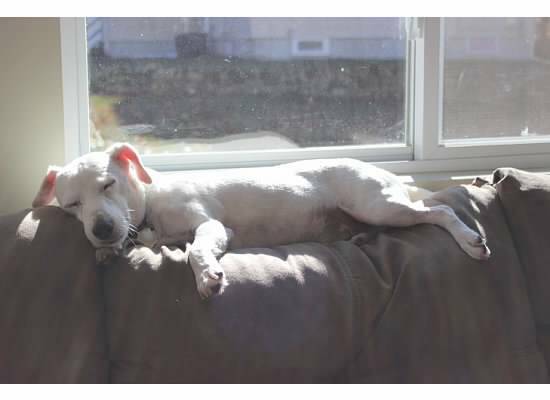 Archie loved to sleep perched up on the back of the couch cushions, too, finding pure delight in the afternoon sun patch. Sometimes, he’d get so deep into his restful slumbers, he’d wind up in Cirque du Soleil positions. 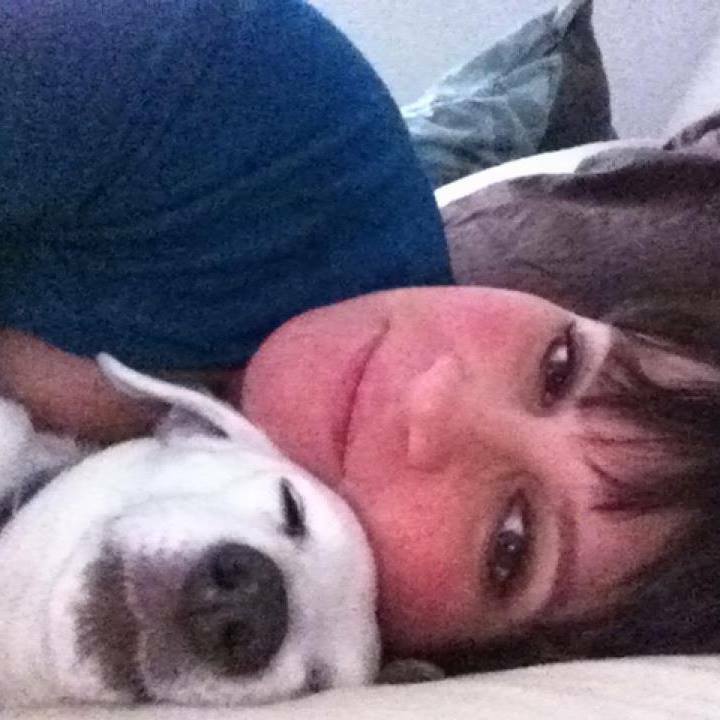 This entry was posted on October 25, 2014 by Maisy Fernandez in Pets and tagged Archie Warren Draper, commercials, dogs, letting go, sleeping dogs, turning circles.